IT MAY have been Palm Sunday but it looks like parishioners at Holy Cross Catholic church will have to put £25 into the palms of local traffic wardens. 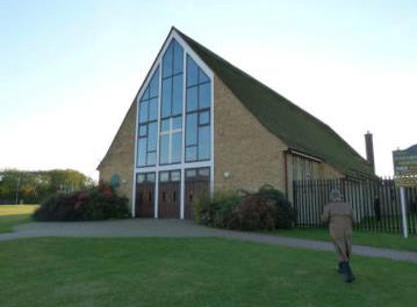 Worshippers came out of the 11am mass on Sunday at the Tracyes Road church to discover that wardens from the North Essex Parking Partnership (NEPP) had ticketed those cars on double yellow lines. Some may question why they felt the need to ticket cars on a quiet road on a Sunday morning but others pointed out that there was plenty of space in the Passmores Academy car park across the road. There were also complaints about cars that had mounted the pavement and parked on the front of Passmores Academy. Worshippers would do well to park legally now as this is one of the busiest weeks in the ecumenical year with extra services on Maundy Thursday, Good Friday and Easter Sunday. YH has contacted Fr Soley at the church but have yet to receive a reply.